Paris nights and days. From 80s power players to the romantic dreamers, these are the moments to remember. 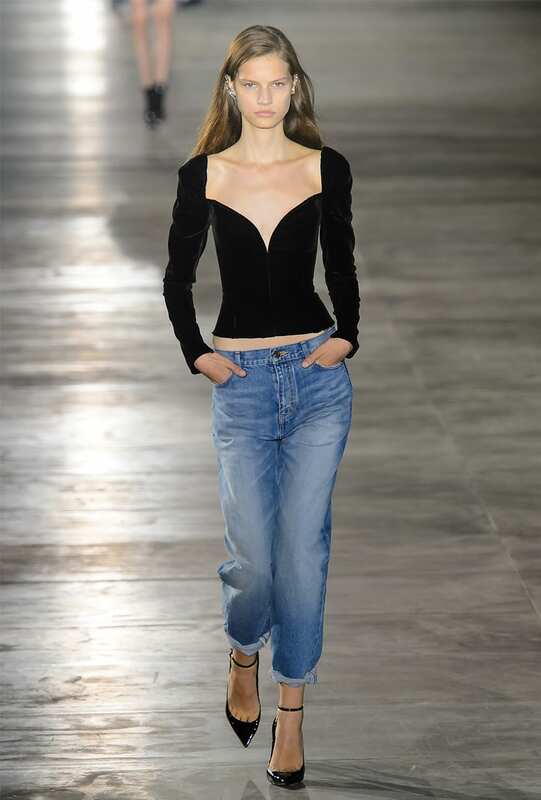 The first show under new creative director Anthony Vaccarello. 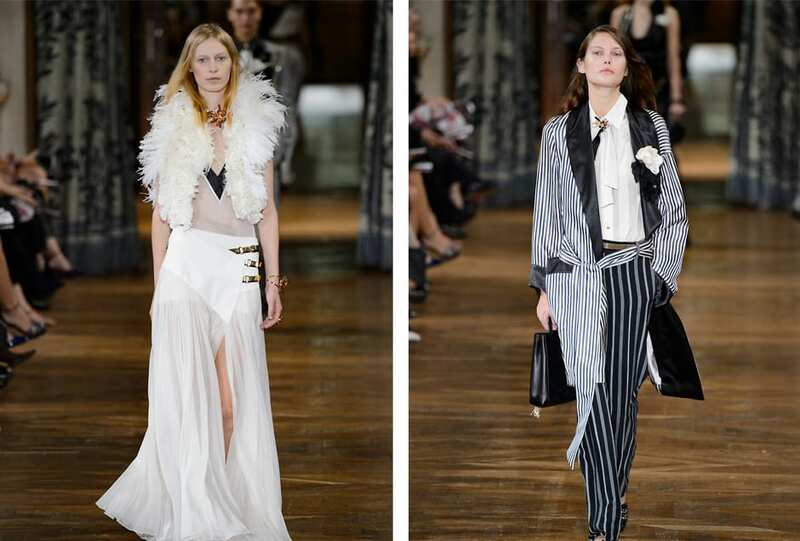 Saint Laurent SS 17 introduced a fresh take on vintage. 80s revival. Inspired by Provence. 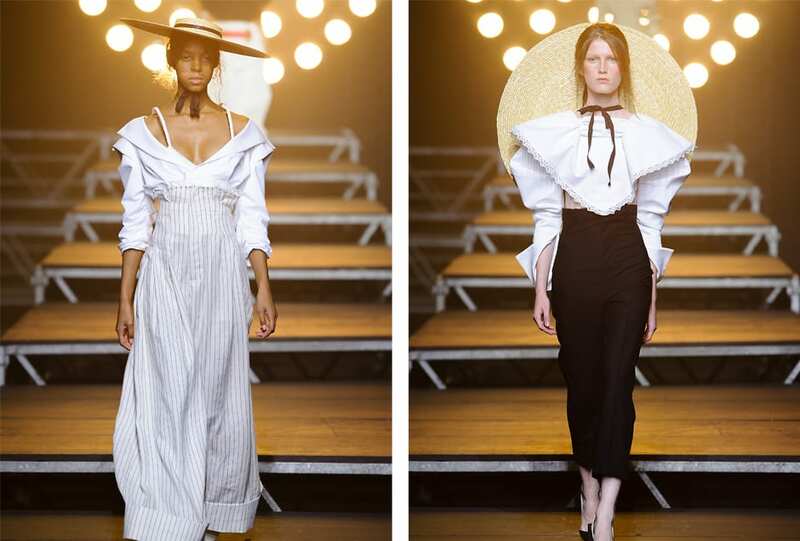 An array of puffy sleeves, straw hats, exaggerated shoulders and belted waists for Jacquemus SS 17. The colour palette of artist Erwin Blumenfeld, plus a dash of floral. A modern version of the 40s silhouette. 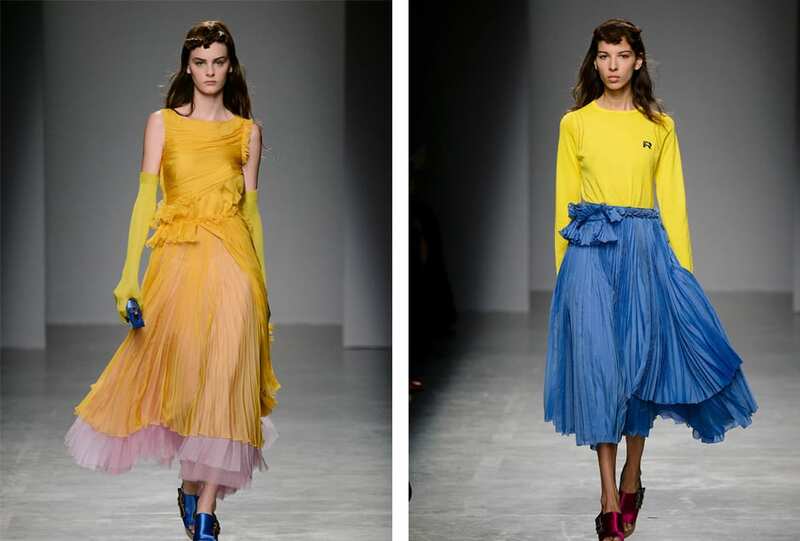 Fresh pops of colour with shirts, skirts and slip dresses layered up. 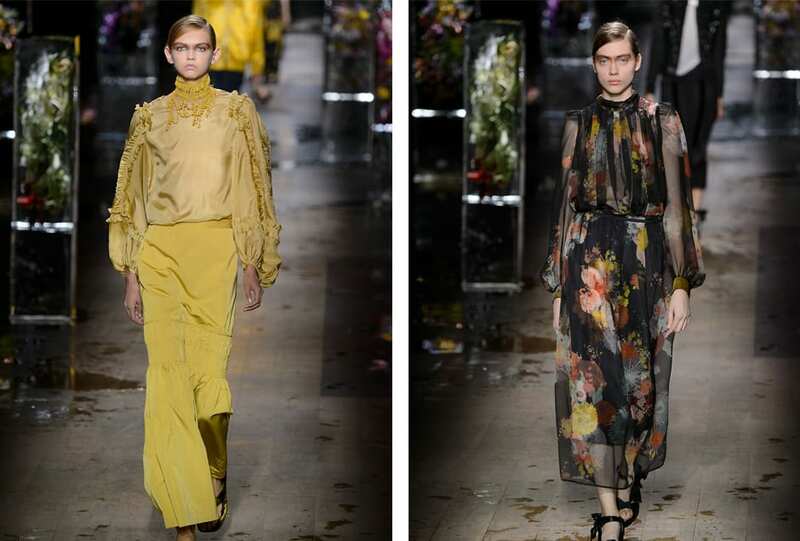 Splashes of floral print, black patent leather, balloon sleeved blouses and wide leg jeans. Tailoring for the female form. Fluid pantsuits and draping dresses were accented with feather collars, sequins and beads on the Lanvin SS 17 runway. A futuristic nod to streetwear. 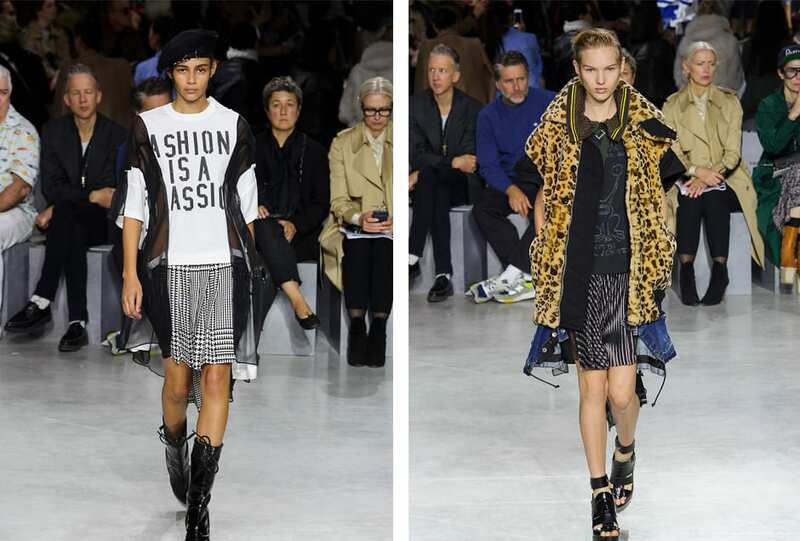 Texture, tartan prints, belted waists and trench coats for the Margiela woman. Refined tailoring. 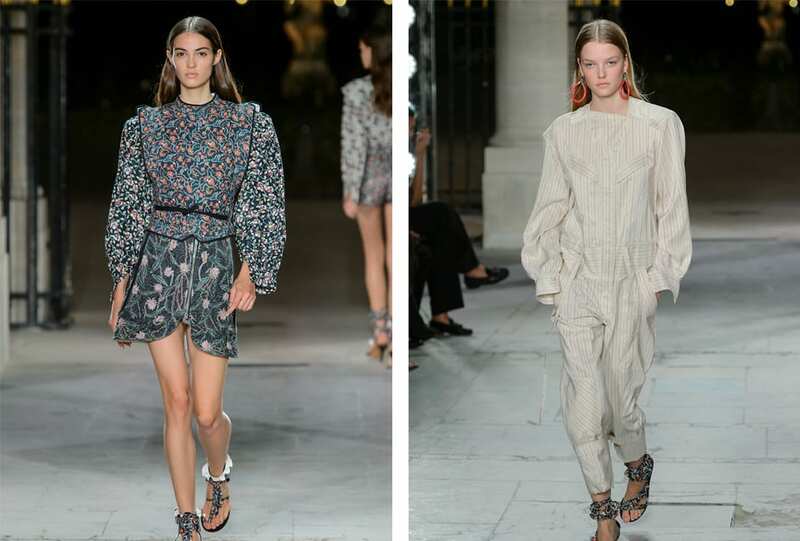 Pyjama-style dressing, soft silks and elephant prints. Smooth operator. Freedom. 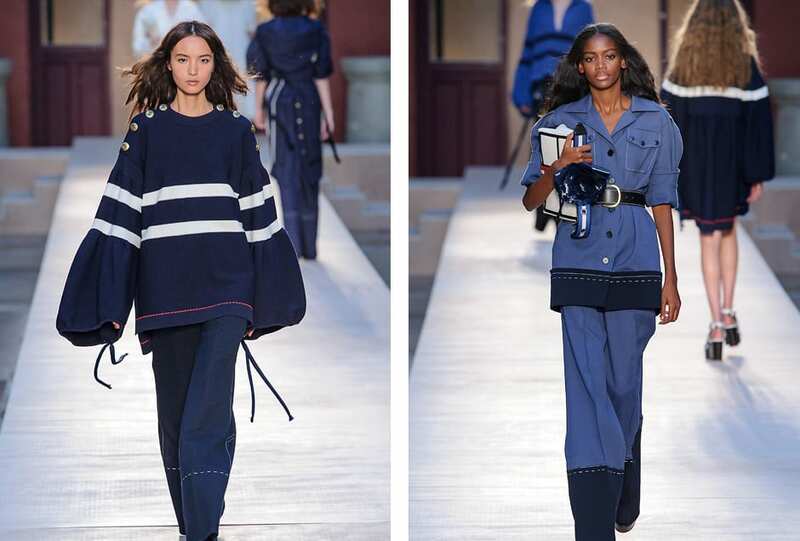 The first show since Sonia Rykiel’s passing saw a finale tribute to the designer and her signature sweaters. Girl and the sea. 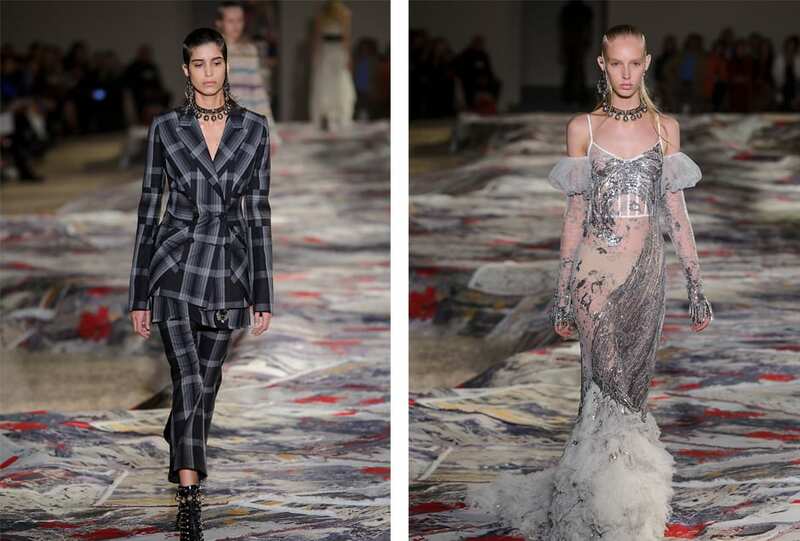 Inspired by the Shetland Islands, Alexander McQueen saw knitted patchwork, sheer ruffles and heavy floral embroidery take to the runway. True to the trends of PFW, Hermès SS 17 saw 80s silhouettes and pops of colour. Easy sophistication. Feminine touch. SS 17 went free and soft with floral motifs, lace and ruffles. Fashion is a passion. A tribute to the likes of Jimmy Hendrix and Kurt Cobain. Release the fire. 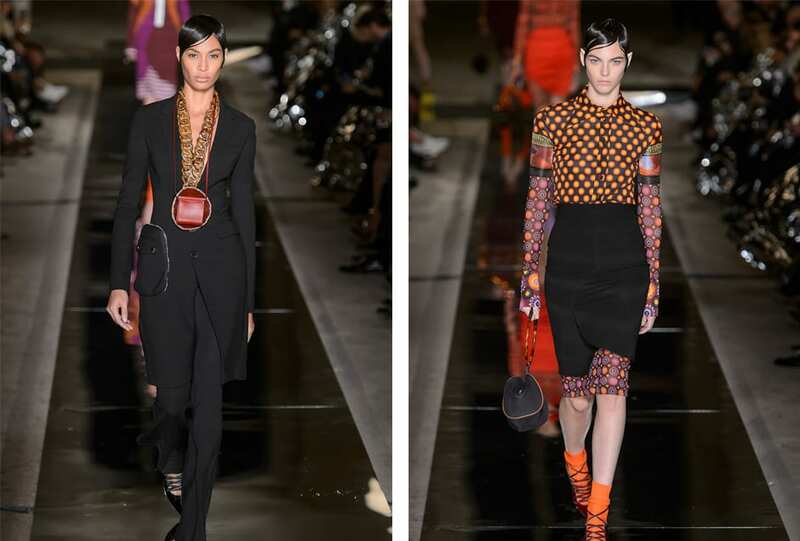 Red, orange, brown and pink bursts flowed through the Givenchy by Riccardo Tisci SS 17 collection. Nature’s woman. Romantic bliss. 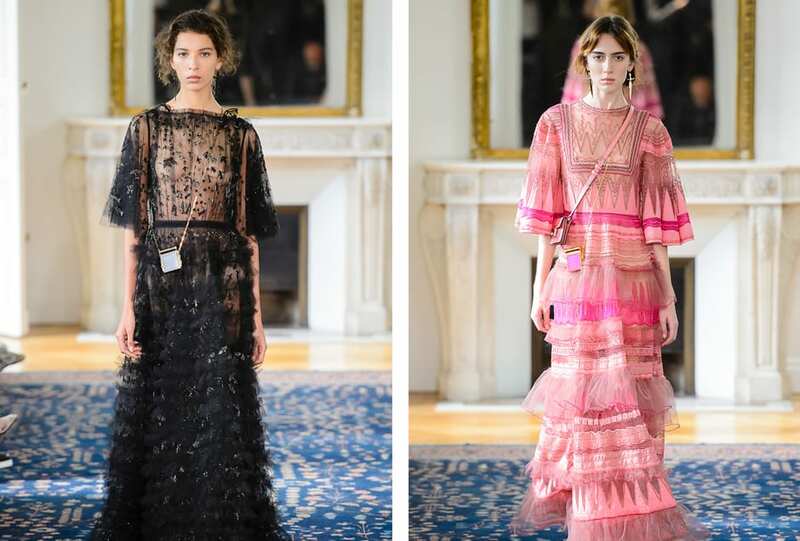 From shades of pink to layers of silks, ruffles and lace, Valentino SS 17 continued to dream under the leadership of Pierpaolo Piccioli. Draped or oversized, from free-flowing to structured. 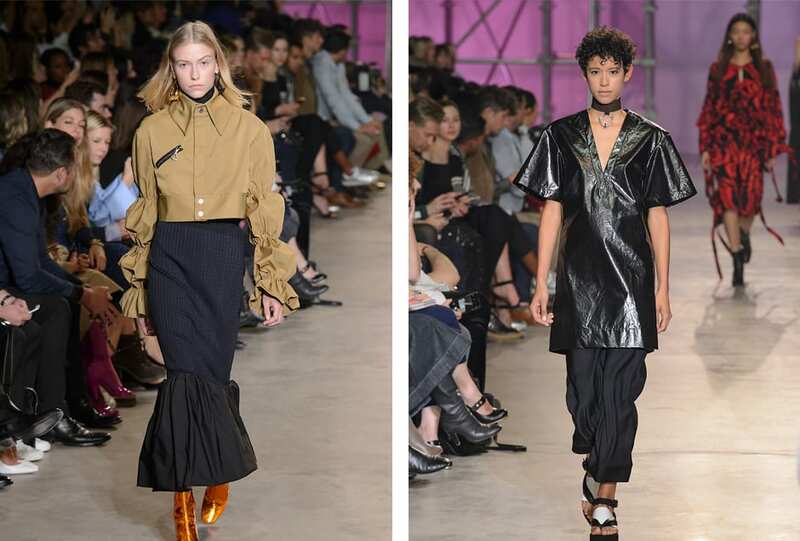 The Céline SS 17 woman knows her stride. Boxy proportions. 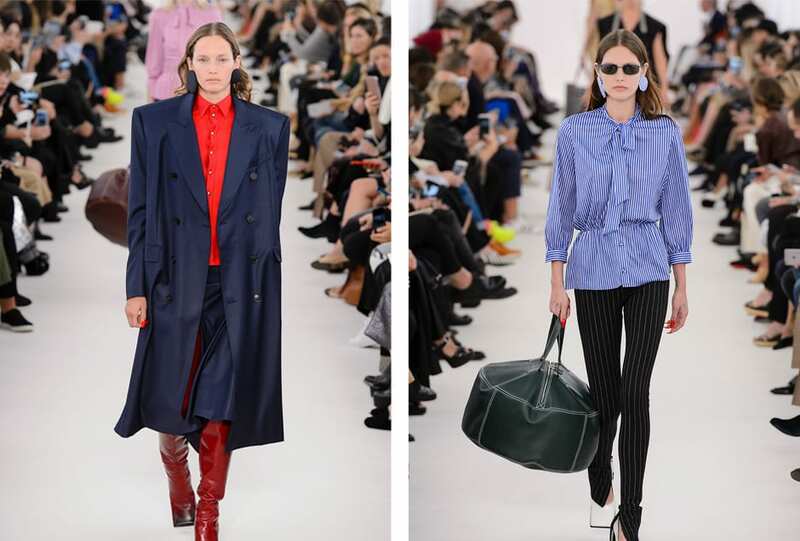 From large oversized bags to broad shouldered trench coats, Balenciaga’s grand gestures keep rolling through for SS 17. 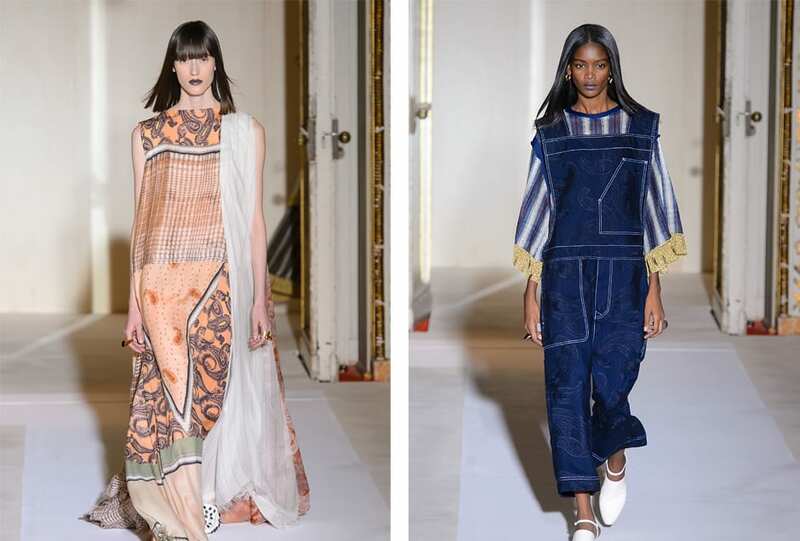 Caftans, patchwork, a mixture of prints and draped knits. Cultural traveller. 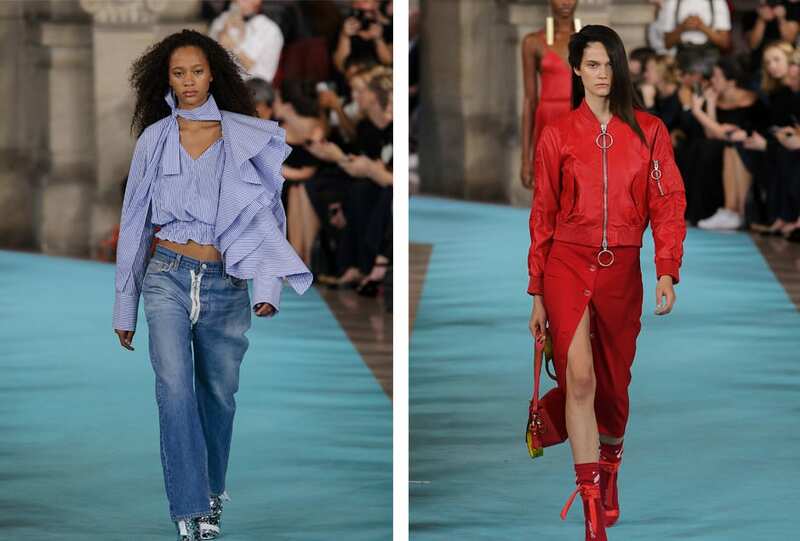 Off-White SS 17 saw pinstripe shirts, branded tees, pops of red and plentiful cool-girl vibes. 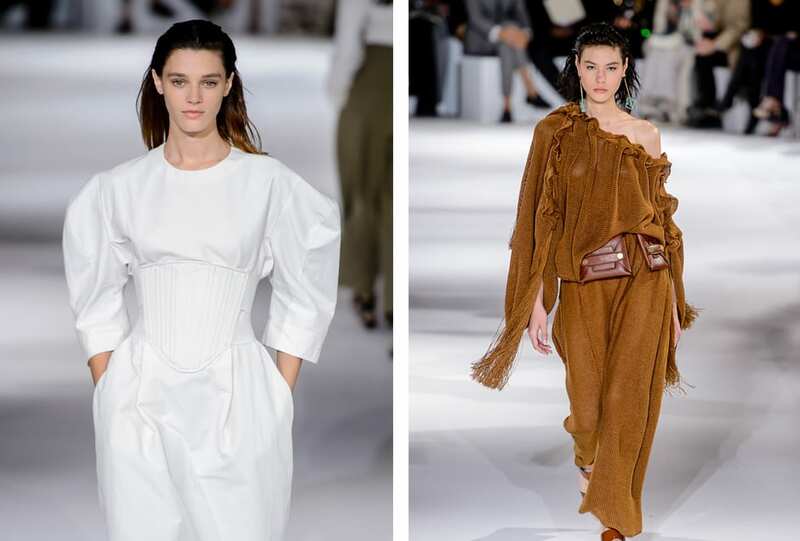 Earthy tones, soft chiffons and high slits intended to show a softer Balmain woman. 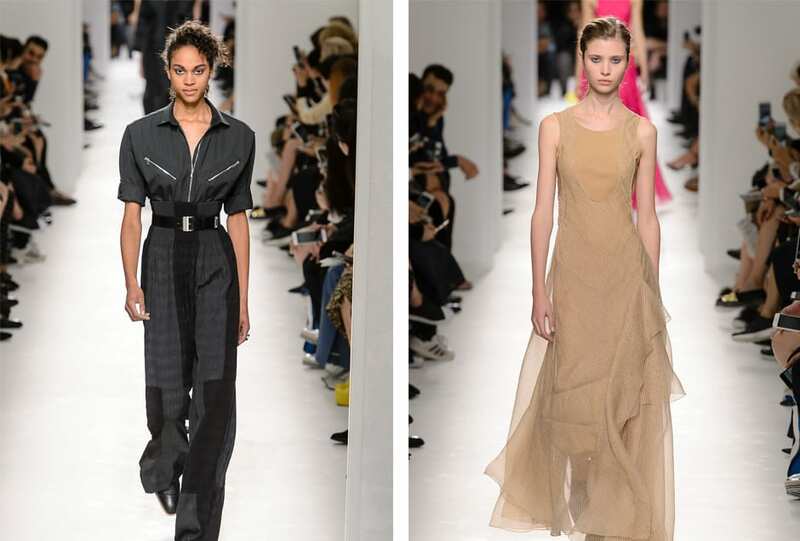 Cut out jumpsuits, satin draped dresses and sheer layers. It’s a jungle out there. No leather, no fur. Stella McCartney SS 17 saw voluminous oversized proportions, balanced by corsetry details and cinched waists. 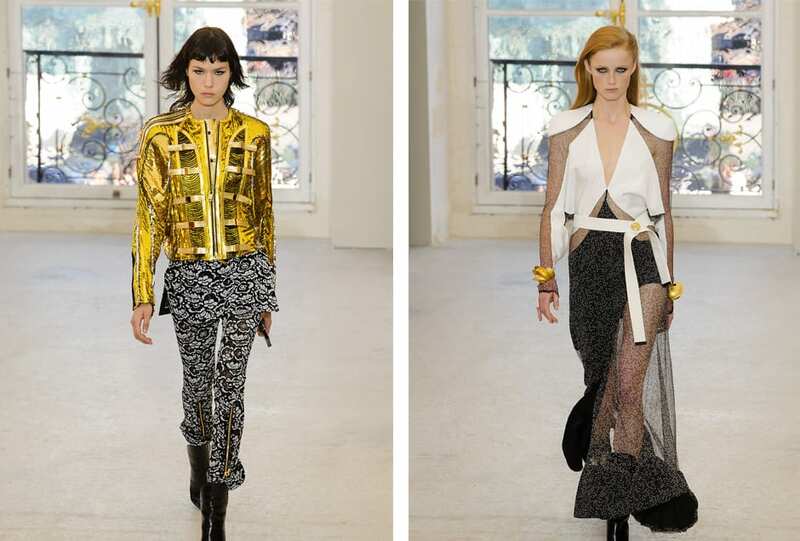 A variety of metallic tones made way for neon pink, electric yellow and hyper orange. We should all be feminists. Inspired by the art of fencing, the Christian Dior SS 17 collection was the first under new creative director Maria Grazia Chiuri. Quilted silhouettes, soft tulle and intricate lace. 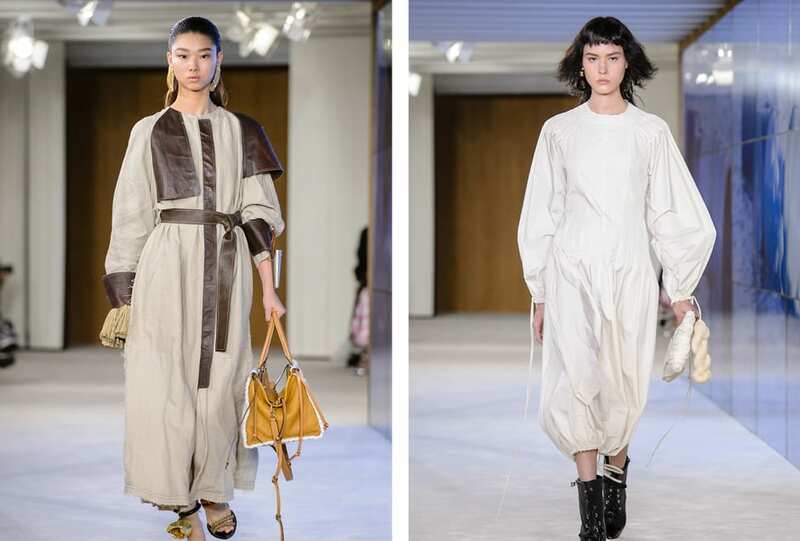 Creative director Jonathan Anderson presented an earthy rendition of gathered necks, free-form dresses, balloon sleeves, patchwork and soft leather. 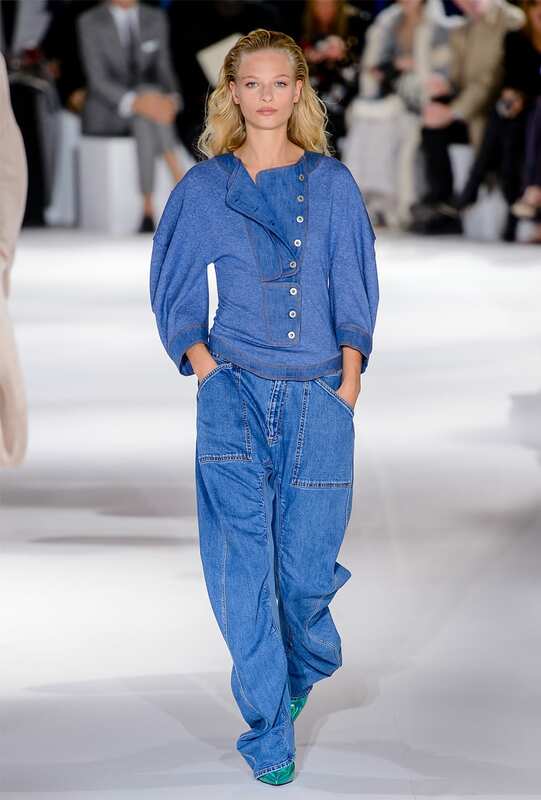 Marant’s take on clothes for the every day. Billowing sleeves, floral prints and high-waisted pants. The new classic. Bejewelled belts and contemporary floral prints, along with transparent apparel. Chloé girls do it better. 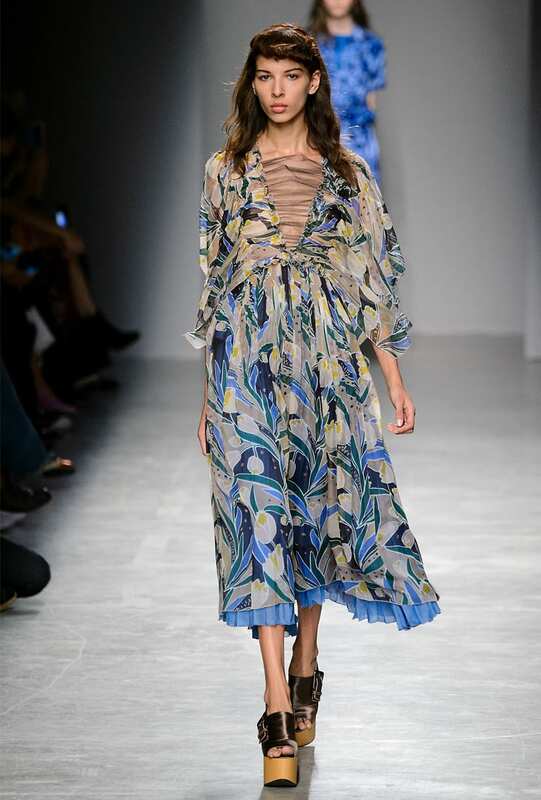 Pleated, layered and floral dresses flowed down the runway. A love affair. Party girls. 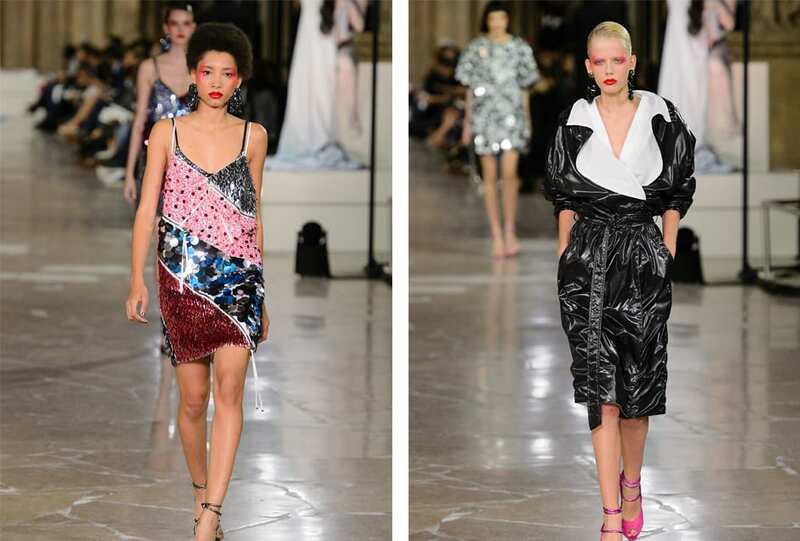 Sequin mini dresses, patent leather and statement earrings. An 80’s update. Dark and romantic with a new era in Ellery silhouettes. For the strong woman. Disco girls danced the runway for Elie Saab SS 17. 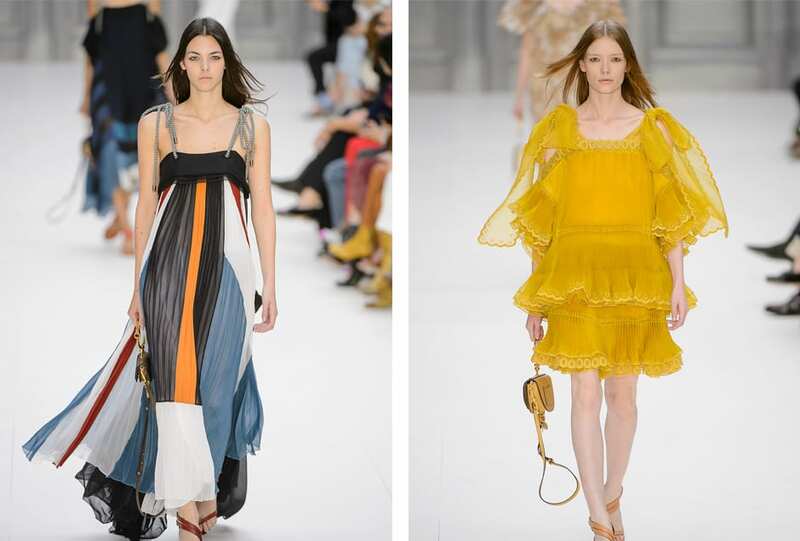 Silk gowns, party dresses, sequins and flares. Night fever. Intimate technology. 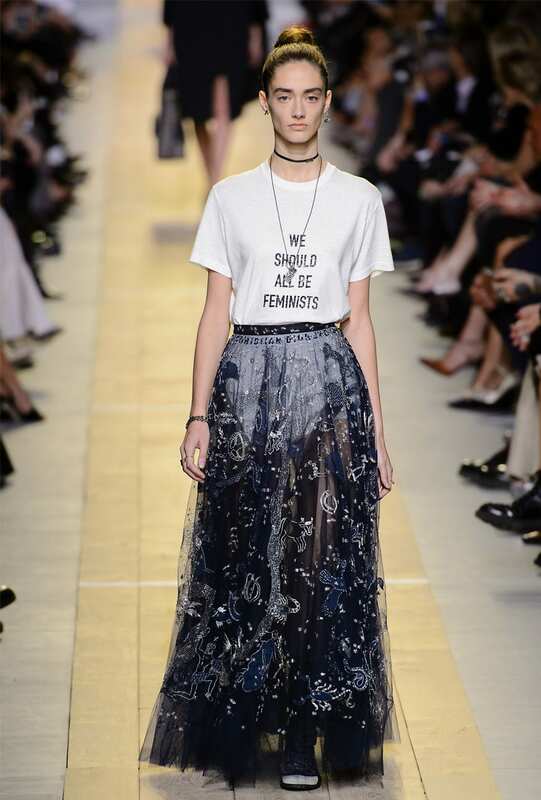 Crystal tweeds, vibrant silk prints and feminine floating dresses took to the runway for Chanel SS 17. Glamour girls at the beach. Swim caps, printed bikinis and terry toweling robes. Feels like summer. 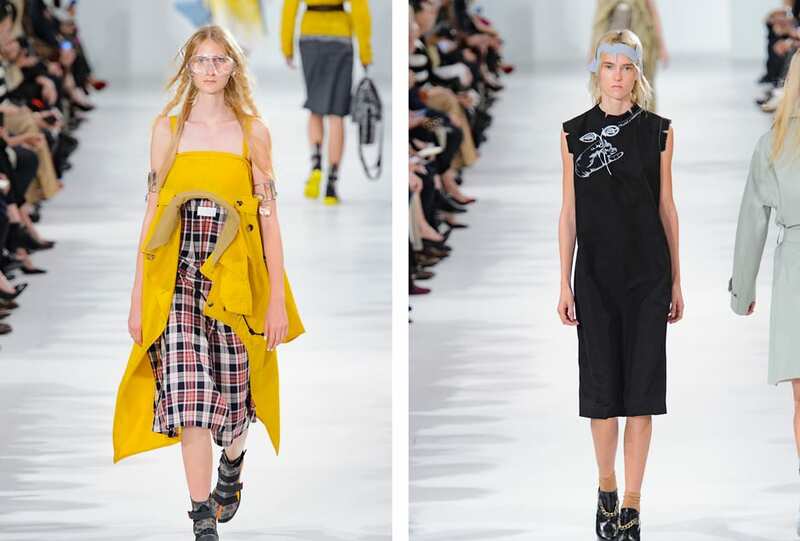 Carefully placed cut-outs, tailored pants and 80s glamour for the Louis Vuitton girl of SS 17.